Virginia’s new bill signed into law will permit expanded casino gambling, online gaming, and sports betting. One gambling expansion bill has swept through the Senate and House and to the Governor’s desk, SB 1126. The lawmakers and people in the Commonwealth are excited to see new gaming services and options. It is likely that Virginia expedited the passing of this bill because neighboring state West Virginia now offers sports gambling. Pre-filed by Senator Louise Lucas, SB 1126 swiftly cleared its legislative committees late February and recently received Governor Ralph Northam’s signature. Originally the bill only contained provisions to expand land-based gaming, however, after numerous amendments and revisions online gaming was included to the definition of casino gaming in the bill. Sports betting was already included as part of the casino gaming definition. 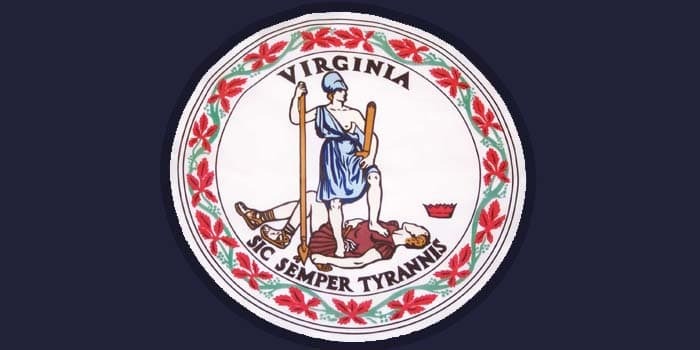 However, while the bill has passed making Virginia the 9th state to legalize sports betting at the state legislative level, it is short on specifics such as tax allocation, minimum ages, and implementation. The lack of details could mean the launch for these expanded gambling forms could take months if not years. The bill will be cataloged into the state’s law books, but various agencies will likely be involved in reviewing best practices and programs before releasing these games to the public. It is likely the Virginia Lottery Board will hold a large role in these expanded gambling efforts. This new law will essentially allow cities to establish a single casino with the ability to offer online gaming and sports betting, however, eligible cities must have a poverty rate of 20%, an unemployment rate of 4%, and experienced a population decline of 7% between 1990 and 2016. Under this law, tribal-run gaming venues could be in cities with populations of at least 200,000 and were 24% of all real estate is exempt from local property taxes. Each township would need to hold a local referendum before breaking ground. It is currently unknown what price is to be paid for one of these licenses from the state Lottery Board, however, tax rates have been named between 13 and 15% of gross revenue. Depending on the difficulty of implementation, Virginia could shelve launching online gaming and sports betting for a few years. In the meantime, Virginia residents are not barred by the Federal government or state government from accessing and gambling on licensed offshore online 18+ casino sites which offer poker and sports betting.